Home offices are becoming more popular, as more people are beginning to work from home. However, productivity is a huge issue, small incremental gains can be the difference between a solid workload and a life of procrastination. You need more than just a desk and a table tossed on one side of the room, you could get creative with your space and create something more appealing that would encourage you to work. In most rooms, the corners are usually left empty, because many people do not think of how space can be maximized into something useful. 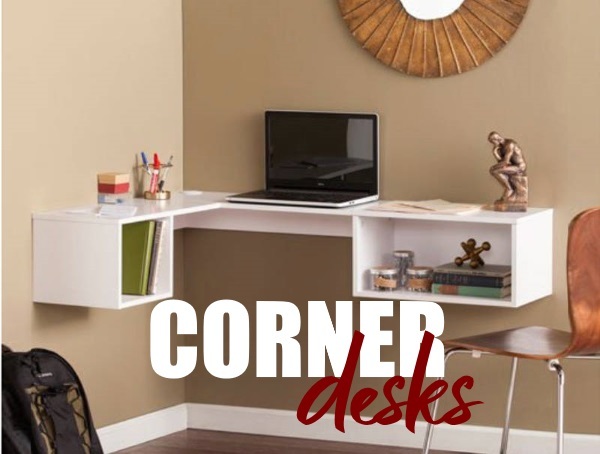 However, to take advantage of this free space, you can create a corner office by using a small corner desk, and that does the trick. This desk would fit perfectly into a small space. You can easily make it yourself by getting your wood and making the exact size you need for the space you have. You can also outsource but ensure it is custom-made so that it suits the available space. Simply place a desk without legs closer to the window and attached to the walls. If you have a short wall-length, you can place it from one end of the wall to the other end. Simply measure the distance and make a window desk of the exact size. You could leave a small gap between the table and the wall to make it more creative, and it could also be used to hold LED strip lights. This mid-century modern desk will not only accommodate your little space but will also help you do more in such little space. The desk has drawers underneath where you can keep things, so you won’t need a wide table when your stuff can be kept away from the top. You can improvise and use a tiny alcove to create your work desk. It could be the lower part of your shelf that can be extended a bit to form a functional work desk. 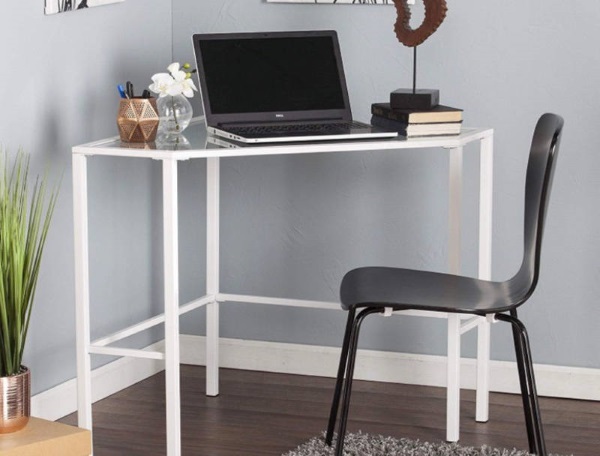 A murphy desk is creative and will help you manage space as you can always restore your tools by folding it back up to a functional shelf, chalkboard or something else. This is not exactly a desk, but it could make your laptop more eye-height friendly. You can make a simple desk riser with strong cardboard that can hold your laptop. Simply adjust the size to suit your laptop size. This desk is specifically made for the corner. The furniture is hinged at the corner where the laptop or desktop is placed for effective use. This kind of desk functions in two different ways. You could have it set up with a concrete countertop or make it double sided with a shelf in-between. The latter is often preferable if you work with someone and do not want to be distracted. A wall mount folding laptop desk is best suited for a small space. The desk can be folded up when not in use and could be easily transformed into a chalkboard. It makes it comfortable for use in the house, as you can get your space back whenever you aren’t working. 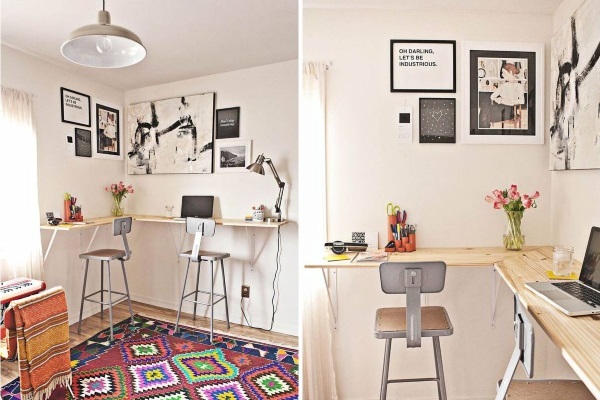 You don’t necessarily need a huge room to have a befitting workspace at home. A corner in your little room might just be all that you need. And by creating wooden or acrylic desks, rather than plastics, you help with sustainability by choosing green eco furniture.